Add your own hold music to your business phone system, and create on hold messages. Enhance the caller experience while delivering information and announcements. Hold music retains callers and keeps them on the line longer. With Telzio, you can choose from our selection of music options, or upload your own. Personalize call waiting music for your business to include on hold marketing messages and announcements. 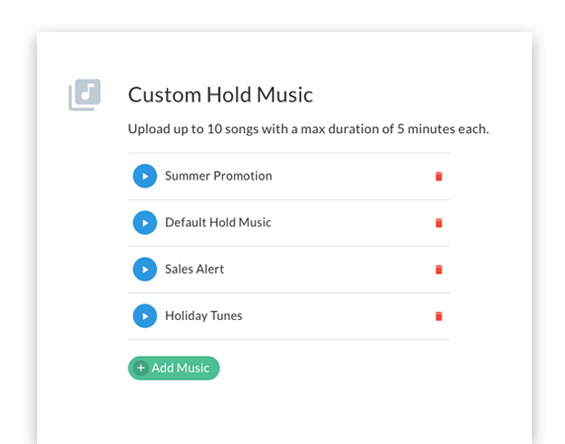 Upload up to 10 audio files with your own hold music and messages. Customize hold music for different extensions. Provide callers with useful information and answers to frequently asked questions. Keep customers entertained and informed while they wait. Telzio's music on hold service gives you the flexibility to add your own custom music. 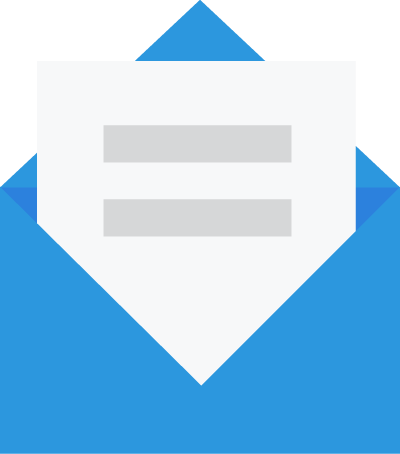 Upload your own professionally recorded file with custom messages integrated into the music. Let callers know about new products and services while they wait to be connected, or use it an opportunity to further your marketing efforts. Does Telzio provide voice talent? Yes. You can order custom speaks from Telzio. Contact our sales department for pricing and turnaround time. Does Telzio provide default hold music? Yes. You can choose from our existing music genres including classical, jazz, rock, lounge, funk, electronic, optimistic, and dubstep.